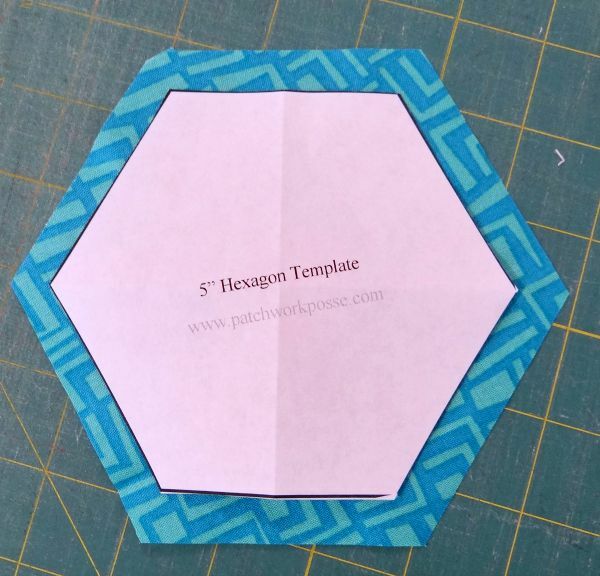 You know all of those hexagons you have laying about? 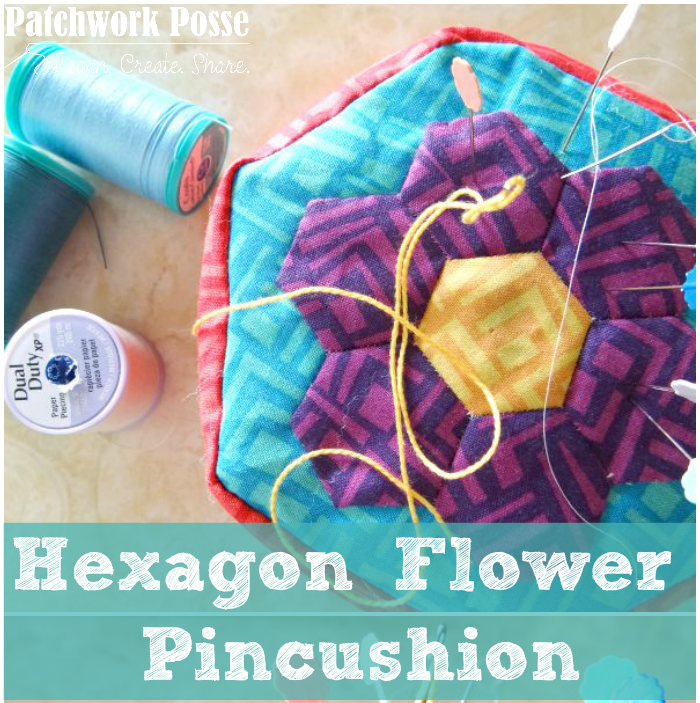 Maybe you started your little collection of flower hexagons? 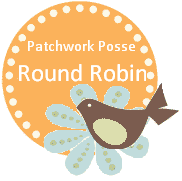 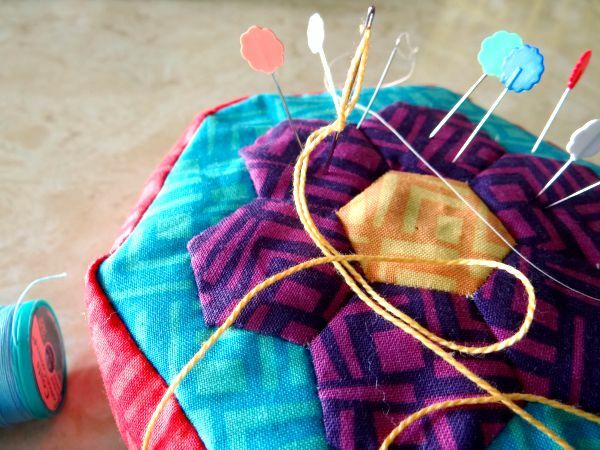 They can be used in a little project– a pincushion. 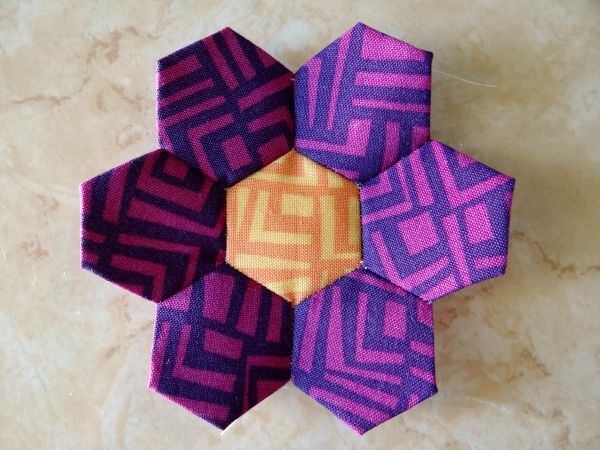 No need to go overboard with the amount of hexagons…. 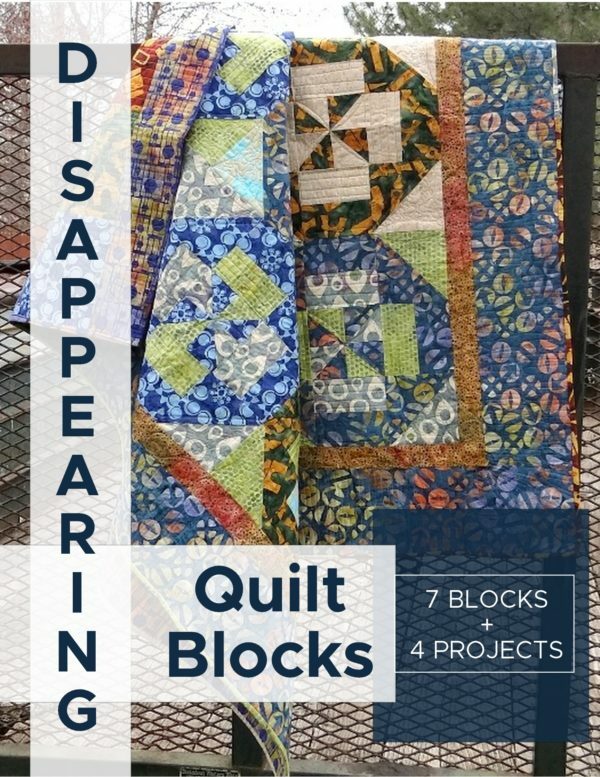 you will just need 7 for this project! 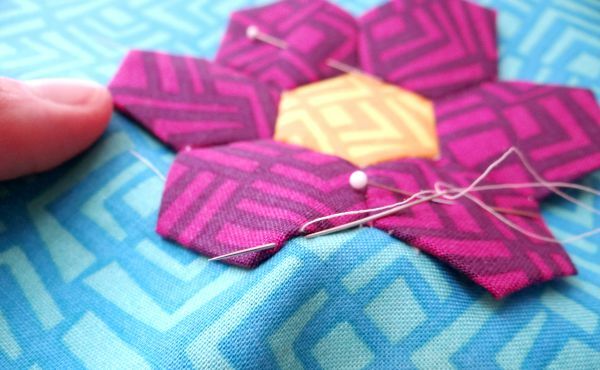 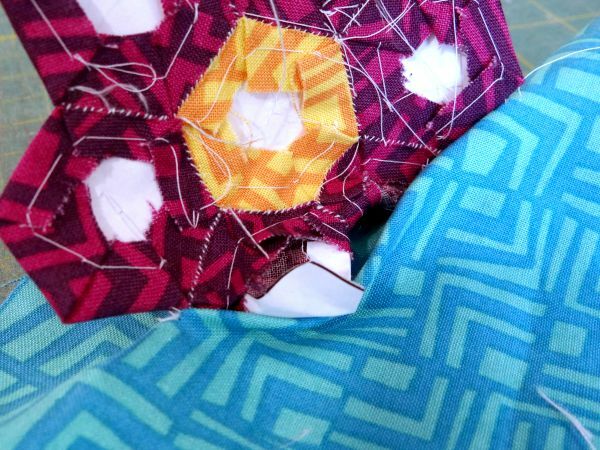 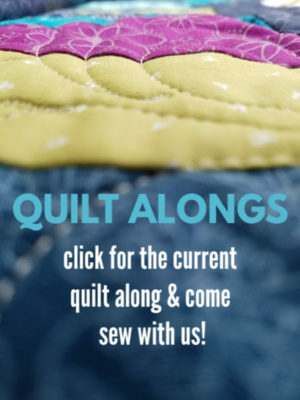 2) Sew your hexagons into a flower shape– quick tutorial to show you how. 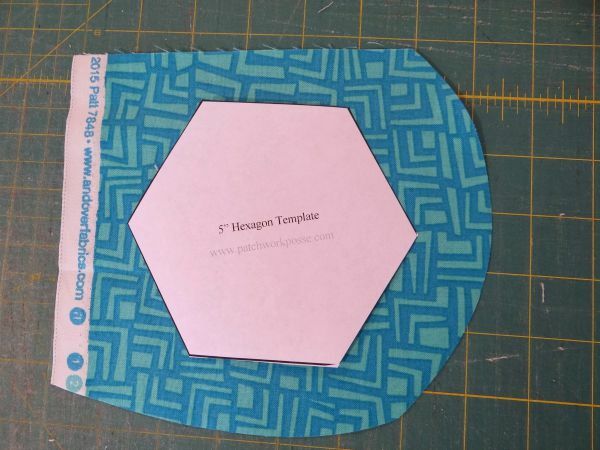 6) Remove the paper under the hexagons before stitching is done! 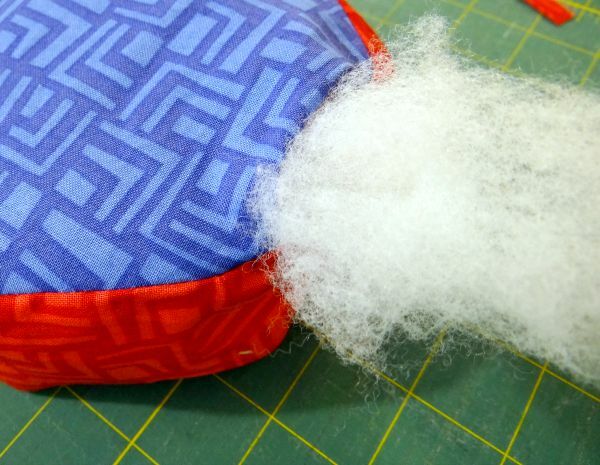 10) Stuff how you like- I used some crushed walnut shells as well as polyfil. 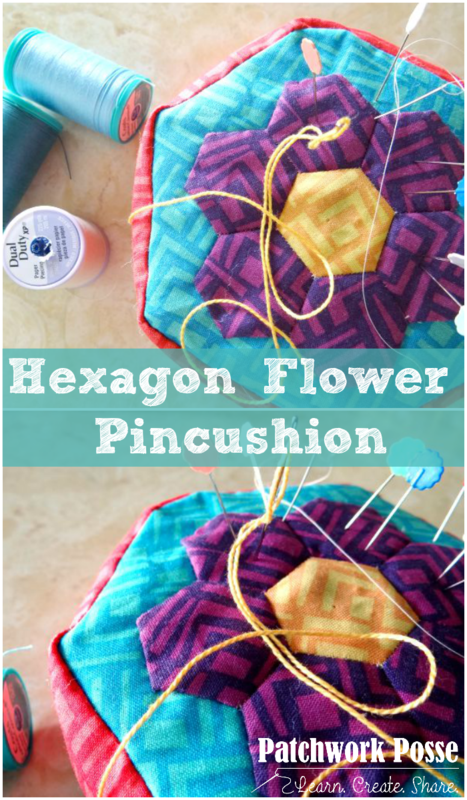 Here are some other great filler ideas for pin cushions. 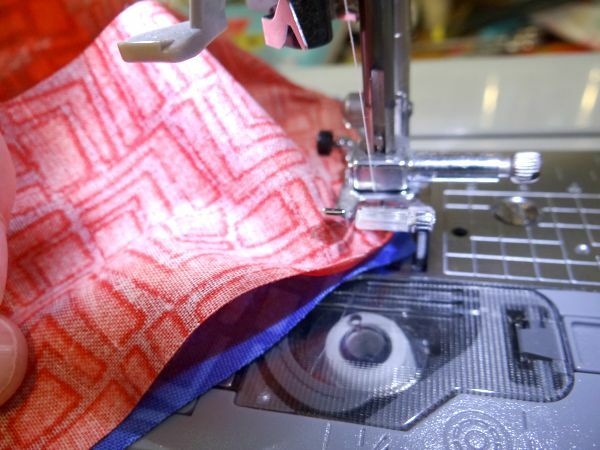 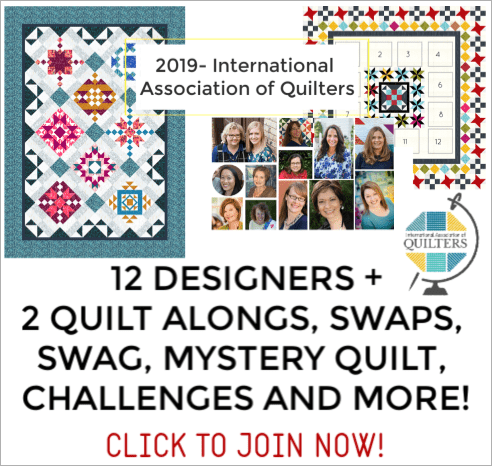 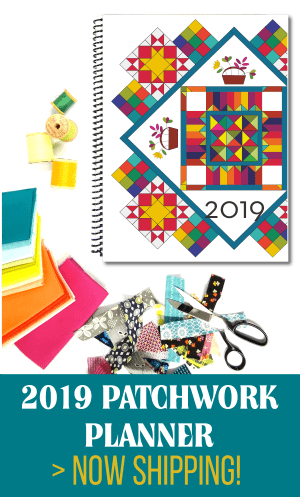 Wheelies Quilt on Moda Bake Shop!